WMF CoffeeConnect – Coming soon! 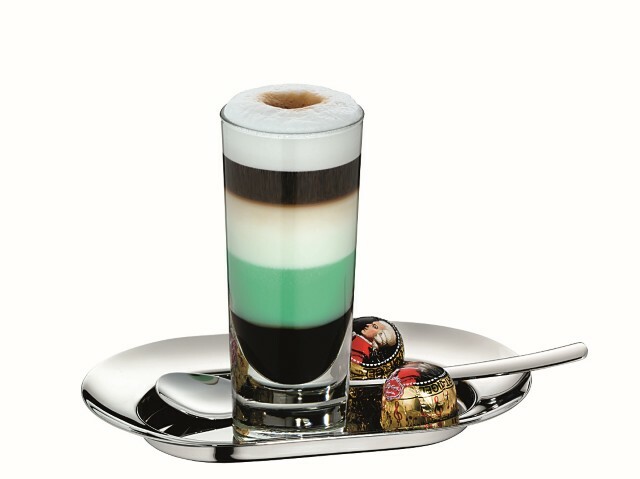 This is a creation of Goran Huber, coffee sommelier and Austrian master Barista. 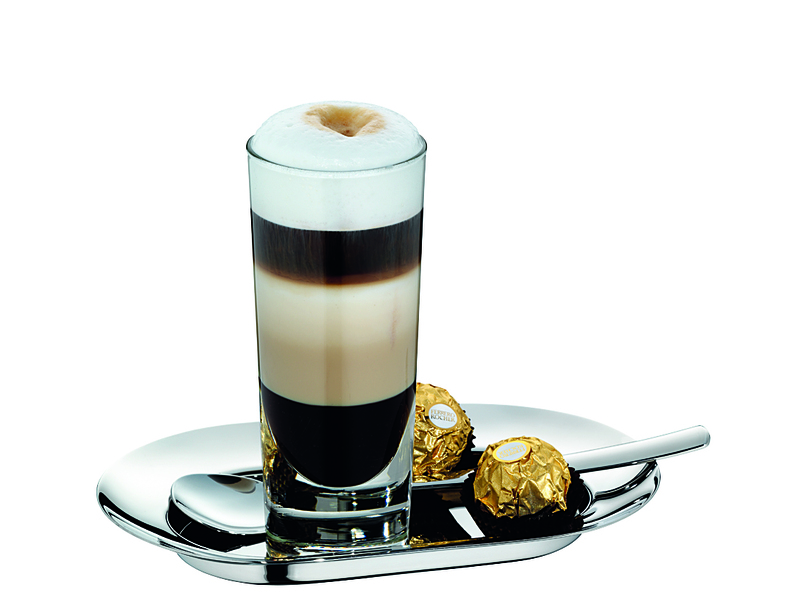 An exquisite coffee recipe which is reminiscent of the famous Mozart balls from Salzburg in terms of both appearance and taste. Slowly pour chocolate sauce and marzipan cream liqueur into a glass one after the other. Then add milk foam and, finally, an espresso (almost a small latte macchiato). It's as though they were made for one another: the combination of chocolate in liquid form, Irish cream liqueur made of whisky and cream (otherwise known as Baileys), topped with milk foam and espresso. Together they produce a recipe for wellbeing in liquid form. Slowly pour into a glass one after the other chocolate sauce and Baileys cream liqueur. Then add milk foam and, finally, an espresso (almost a small latte macchiato). Who doesn't know zabaione, THE Italian sweet par excellence? 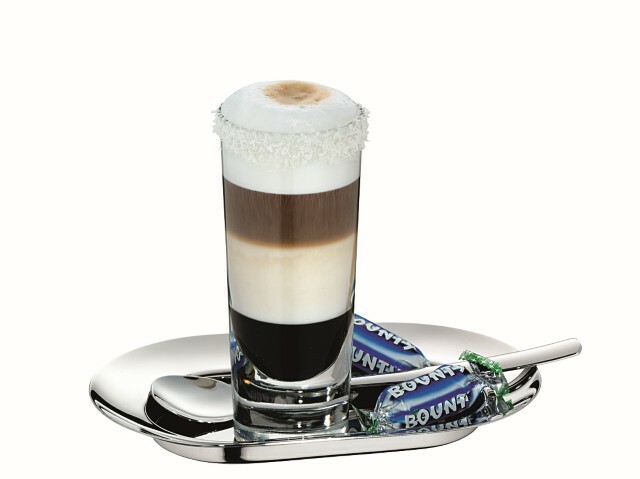 We adapted this recipe from the creamy and sweet treat and so created a coffee cocktail which, with a healthy serving of advocaat, already has the makings of a classic. Slowly pour chocolate sauce and advocaat into a glass one after the other. Then add the milk foam and, finally, an espresso (almost a small latte macchiato). Here, the chocolate sauce, coconut liqueur, milk foam and espresso form a dream quartet for the taste buds. Hmmm... a coffee cocktail can hardly be any more delicious. Slowly pour chocolate sauce and coconut liqueur into a glass one after the other. 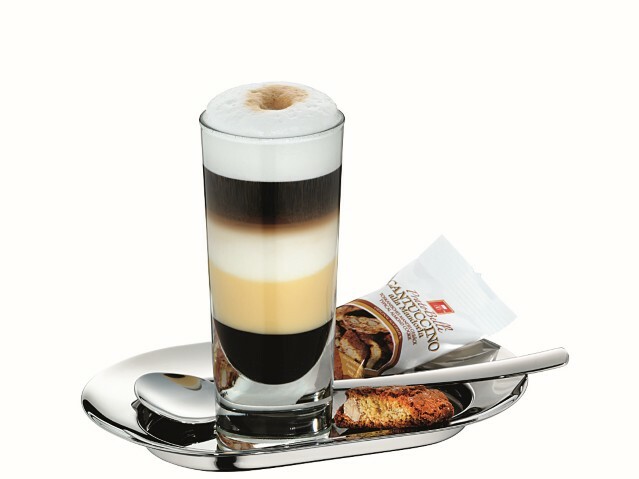 Then add the milk foam and, finally, an espresso (almost a small latte macchiato). Cold mixed drinks from a coffee machine? Today this isn't a contradiction. 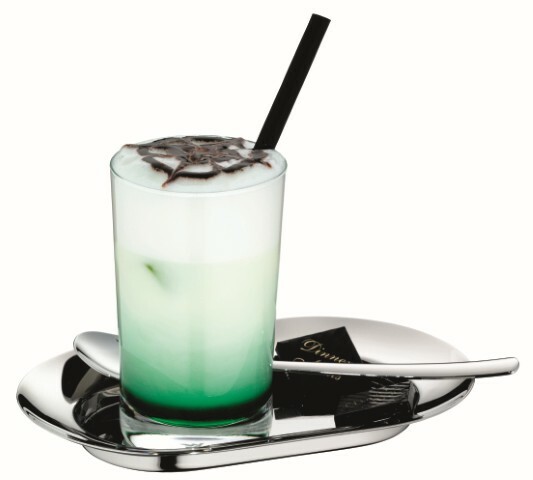 With our milk system WMF Active Milk or Dynamic Milk, you can easily whip up these cool cocktails at the touch of a button. The ice cube and syrup go into the glass, fill up with milk foam, and finish with a shake. 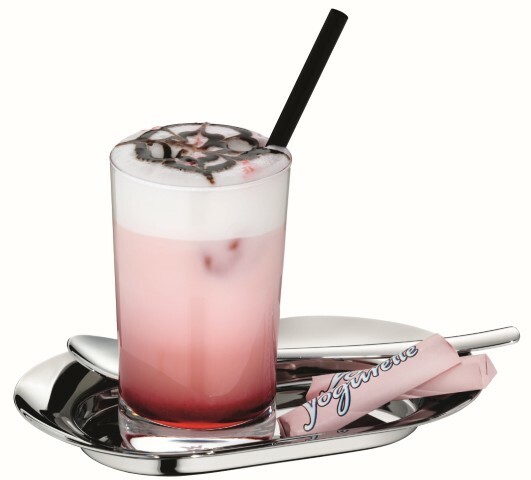 The numerous different types of syrup open up a multitude of cold mixed drinks which take some beating. In a flash you can create a Strawberry Fields, Peppermint Cream, Sweet Hazel, Banana Breeze or Vanilla Kiss – your imagination knows no bounds. 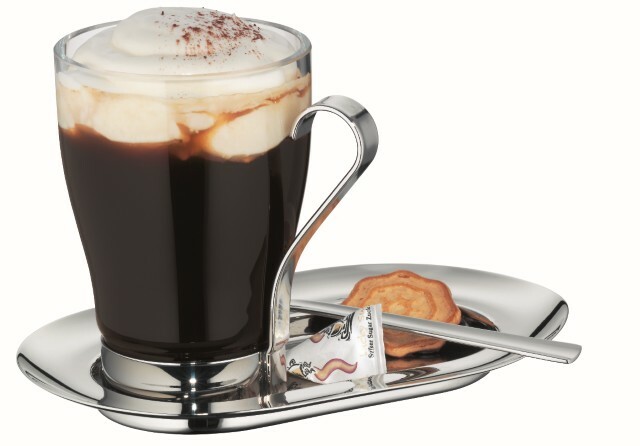 Depending on taste, you can then add an espresso so even coffee lovers are not left out. Delicious coffee creation with a shot! The emergence of the Pharisee goes back to the North Friesian Islands in the 19th century. But today it is still one of the classic bar recipes - and not only in North Friesland. Put the sugar and rum in a glass and fill up with strong, hot café crème. Finish off with milk foam or lightly whipped cream according to taste. 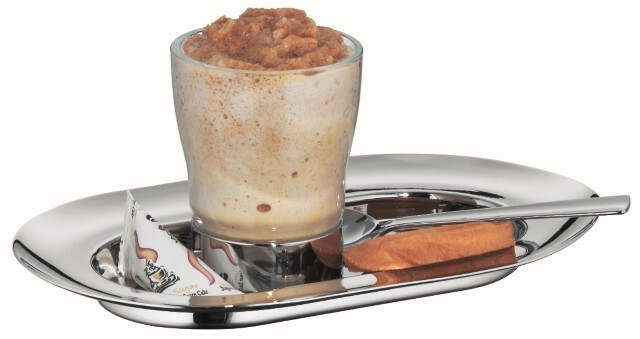 The espresso sorbetto is to be enjoyed as a cool variation of the espresso. A small low-calorie sweet as a refreshment or dessert. Let the espresso freeze, in an ice cube container for example, until it is solid. Put the frozen espresso and the other ingredients into a mixer and blend them into a soft consistency. 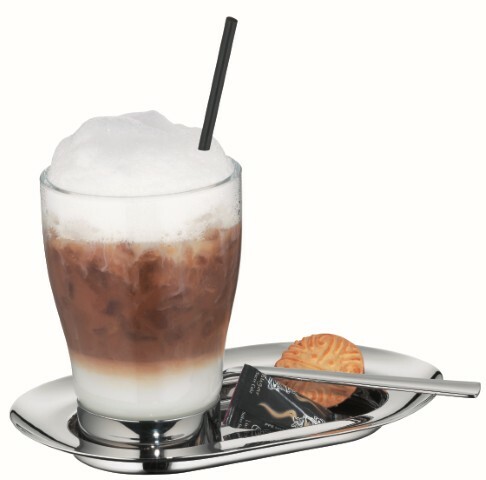 An ice-cold alcohol-free coffee cocktail: The basis of the caffè con ghiaccio (ghiaccio = ice) is also a latte macchiato. Indeed, a serving of crushed ice and a shot of maple syrup goes into the glass first of all. The special, not too sweet, flavour of the maple syrup gives this coffee that certain something. Of course, it is also possible to experiment with other flavours, i.e. different types of syrup. A splendid alternative to the traditional iced coffee. Treat yourself with a refreshing and creamy iced coffee: the coffee for spooning, the coffee for a sweet tooth, the coffee to spoil yourself with. 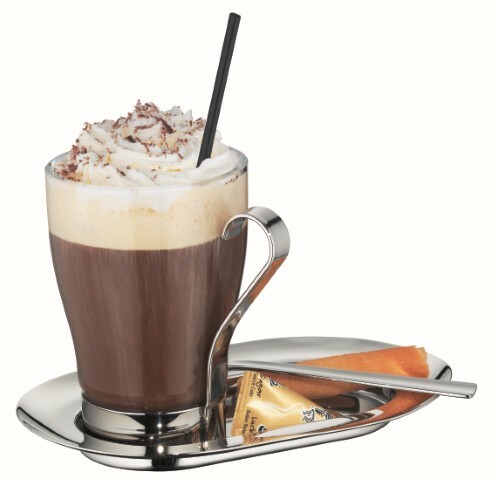 Put two scoops of vanilla ice cream in cold filtered coffee and top with creamy whipped cream and chocolate shavings.